The Chandra Prabha Wildlife Sanctuary (also known as Chandraprabha) is situated in the eastern region of Uttar Pradesh. It is well endowed with beautiful picnic spots, dense forests, and scenic waterfalls like Rajdari and Devdari that attract tourists every year to its vicinity. Chandra Prabha Wildlife Sanctuary is situated about 70 kilometres from the Pilgrim city of Varanasi. The Chandra Prabha Wild Life Sanctuary is situated in the Chandauli district of Uttar Pradesh and is a part of the Kashi Wild life Division. In order to combat the organic and man-made pressure on wild life, in the form of human encroachment and industrial expansion, combined with an increase in the population; in 1957 a total area of 9600 hectares was earmarked as a forest area and developed as the Chandra Prabha Wild Life Sanctuary.  An additional buffer area of 66000 hectares has also been set aside as forest land under the Kashi Forest Division core area. This buffer area safeguards the core area as well as the Chandra Prabha Wild Life Sanctuary area from the pressures of human encroachment and industrial expansion. Chandra Prabha Wild Life Sanctuary is a model, natural –habitat sanctuary for the wild life found locally or migratory, in the area. A number of grass lands, caves and waterfalls in the Vindhyachal range dot the landscape. The sanctuary was found suitable to alleviate the ever-decreasing population of the Asiatic Lion and to give a boost to the conservation of the Lion, one male lion named Raja and two female namely, Rani and Jayshree were brought here from the Gir Wild Life Sanctuary, Gujarat in 1957. Though the lions were actively roaming the area till 1970 but due to the intense biotic pressure the effort failed.